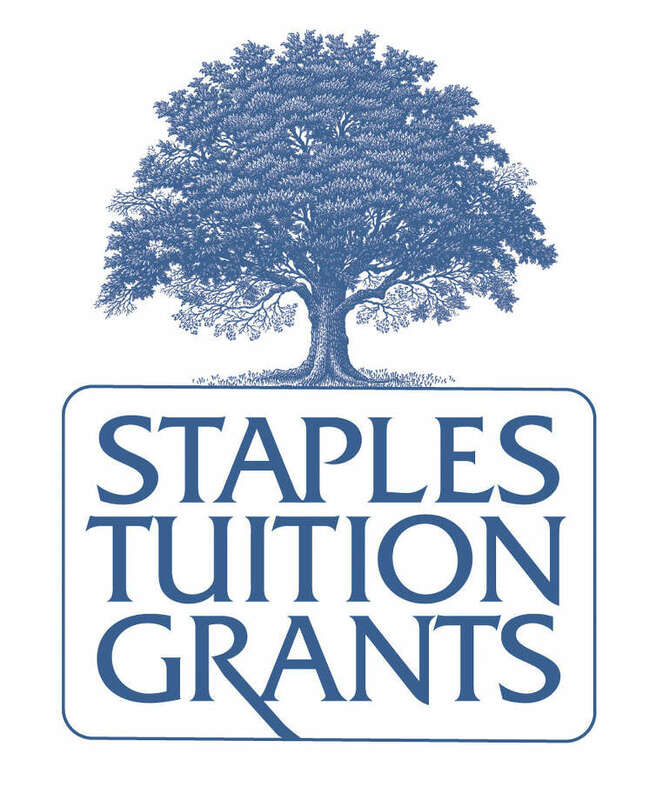 The new Staples Tuition Grants logo, updated by graphic artist Miggs Burroughs. Westport CT November 2012. Staples Tuition Grants, the private foundation that funds college scholarships, is marking its 70th year with an updated logo. The unveiling of the new logo coincides with the launch of STG's fundraising drive for the current academic year. The new design retains the original's tree in full bloom -- symbolizing the blossoming of youth through education -- but uses a new type style and more condensed shape. The nonprofit's credo is that no Staples High School graduate should be denied a college education because of financial need. STG was founded in 1943 with a $100 donation from the Staples High School PTA. Last spring, it awarded $314,000 in financial grants to 30 members of the Class of 2012 and to 81 alumni currently attending colleges and trade schools. Starting with the iconic tree that was hand-drawn by Michael Halbert, Westport graphic artist Miggs Burroughs modernized the logo and, infused it with greater meaning, STG said. "We have always seen the tree as a symbol for the blossoming of so many young Westporters, over the years, literally branching out and upward," Anne Hardy, STG co-chairman said in a news release. "Miggs has paid homage to our past by preserving the tree but reconfiguring it so that our name appears beneath the tree, truly acting as its foundation, with deep roots in the community. Co-chairman Diana Weller said the extended tail on the letter "R' in the word "Grants" reflects an outreached hand, conveying that Westport is a local community taking care of its own. Westport graphic artist Ann Pawlick helped incorporate the new logo into the foundation's fundraising materials, STG said. She now is updating its website. The foundation's grants range up to $6,000. The organization said it relies on donations from individuals, PTAs, civic organizations and local businesses. Tax-deductible contributions to Staples Tuition Grants may be made at www.staplestuitiongrants.org or mailed to Staples Tuition Grants, P.O. Box 5159, Westport, CT 06881-5159.